MONTICELLO, NY (October 6, 2015) — Senior safety is an ongoing theme for the Sullivan County TRIAD collaboration with a continued effort to prevent elder abuse and maintain the quality and integrity of senior life. 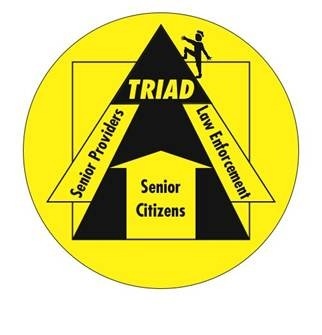 TRIAD, a partnership between senior citizens, law enforcement, and senior support agencies, announces the sixth annual Senior Safety Day on Wednesday, October 21, 2015. The public can learn about senior programs and services at this free event occurring from 8:30 a.m. to 1:00 p.m. in the Ted Stroeble Recreation Center on 10 Jefferson Street in Monticello. Cornell Cooperative Extension Sullivan County (CCESC) and Office for the Aging (OFA) will collaborate through the Caregiver Resource Center to offer this free opportunity emphasizing National Domestic Violence Prevention month. The OFA’s annual public forum will begin at 9:00 a.m., followed by guest speakers’ programs on domestic violence and elder abuse. A buffet lunch with homemade dessert will be provided and door prizes awarded at the conclusion of the event. Speakers include Liliam Stettner, Licensed Clinical Social Worker, and Christine Fiorile Harrington, Legal Services of the Hudson Valley attorney. Stettner discuss elder abuse and share an informative video entitled, “An Age for Justice: Confronting Elder Abuse in America”. Harrington will facilitate a conversation on financial abuse. Pre-registration for this free event is requested in advance. Registration and more information can be obtained by calling CCESC at 845-292-6180 or emailing sullivan@cornell.edu.